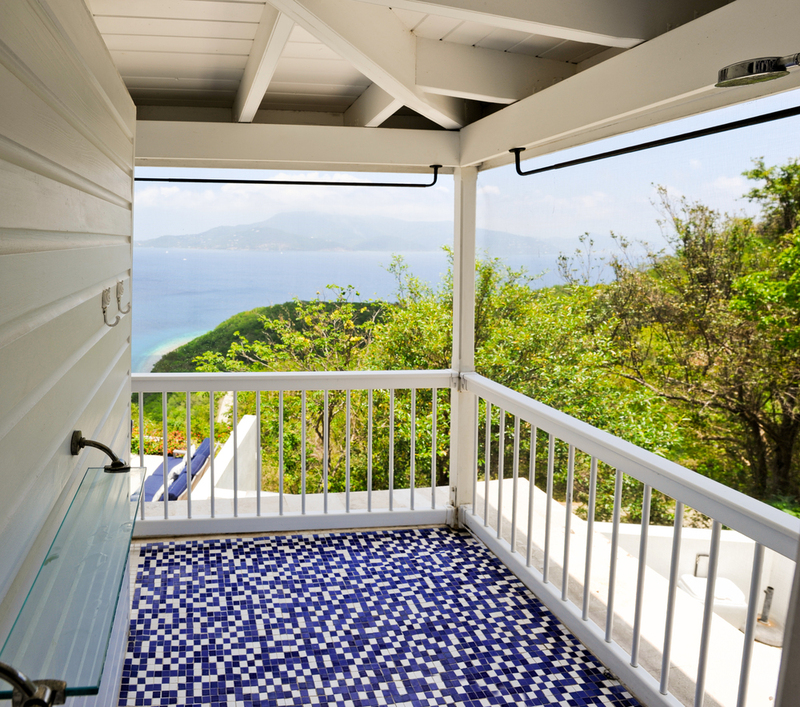 Perched magically on a ridge with jaw dropping views, this luxury Eco Villa offers views out and down and up and beyond to the white sand kissed emerald islands floating on the azure sea. 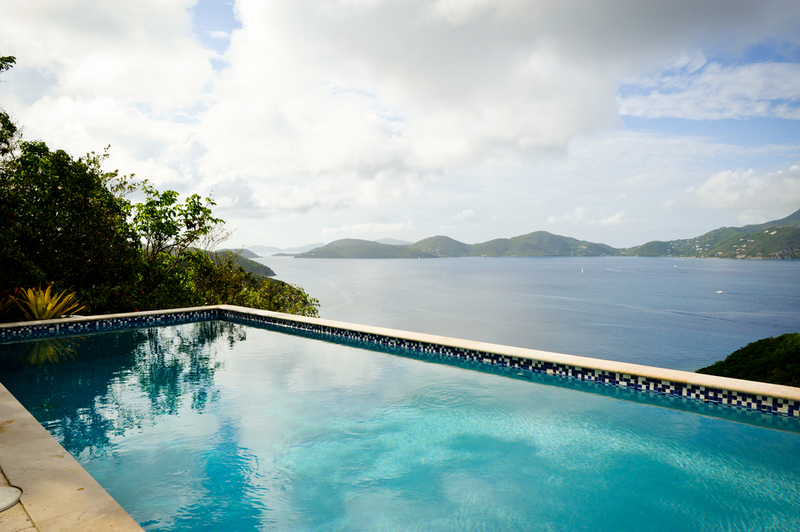 The views from this pool are arguably some of the best on St John. Remote, private and quiet, this stunning retreat is ideal for the couple who wants to be awed on their vacation, honeymoon. Thoughtfully and tastefully designed to maximize the views and comfort while ensuring harmony with the environment. 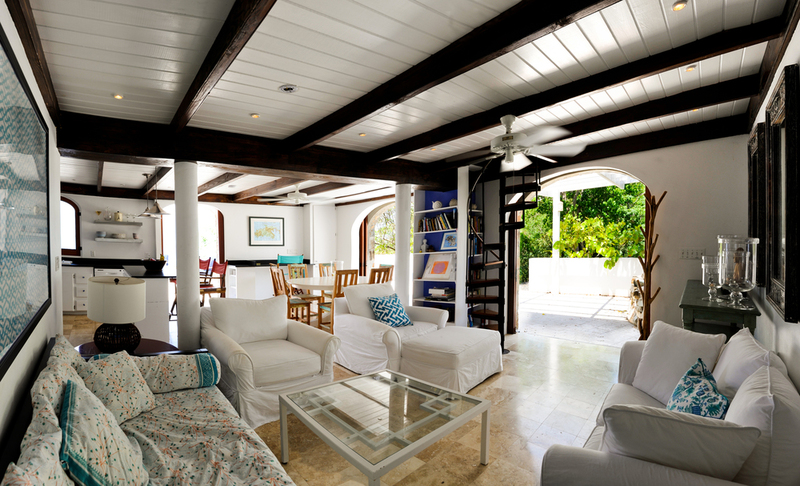 Around every corner is an incredible view and a welcoming daybed or chaise to curl up on with a book or a loved one. The over-sized crystal clear pool allows for uninhibited looks to shallow reefs and open sky at night. From the Modern kitchen, to the comfortable living room, the breezy bedrooms, with screened in sitting area to the huge travertine patio – this home truly creates the instant feel that you have arrived and will relax.